Pregnancy and Oral Health: What Are The Risks? 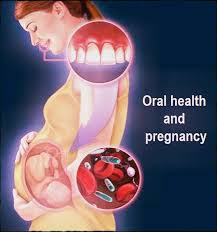 Pregnancy affects nearly every aspect of a woman's life, including her oral health. You may think of your oral health as just one more thing to worry about, but taking care of your mouth and teeth is important during pregnancy. What are the special oral health concerns of pregnant women? Most women notice changes in their gums during pregnancy. Some women notice that their gums look redder and bleed when they brush their teeth. And some women have severe swelling and bleeding. All of these changes are referred to as "pregnancy gingivitis." They can start as early as the second month. The condition tends to peak around the eighth month. It often tapers off after the baby is born. Pregnancy gingivitis is most common in the front of the mouth. The symptoms are the same as those for gingivitis, but some of the causes are different. Increased hormone levels may be partly responsible for pregnancy gingivitis. During pregnancy, the level of progesterone in your body can be 10 times higher than normal. This may enhance growth of certain bacteria that cause gingivitis. Also, your immune system may work differently during pregnancy. This could change the way your body reacts to the bacteria that cause gingivitis. To minimize the effects of pregnancy gingivitis, practice good oral hygiene: Brush twice a day, for at least two minutes each time. Floss every day. Using an antimicrobial mouth rinse also may help you control your gum inflammation. Some dentists suggest using rinses that don't contain alcohol, but it is not clear whether alcohol-based rinses have a negative effect on pregnancy. Be sure to have your dentist check the health of your gums while you are pregnant. Pregnancy gingivitis usually can be helped with a professional cleaning. This can be done at any time during your pregnancy. More aggressive treatments, such as periodontal surgery, should be postponed until after delivery. Pregnancy Granuloma (Pyogenic Granuloma or Pregnancy Tumor) A pregnancy granuloma is a growth on the gums that occurs in 2% to 10% of pregnant women. It is also known as a pyogenic granuloma or pregnancy tumor. Pregnancy tumors are misnamed. They are not actually tumors and are not cancerous. They are not even dangerous, although they can cause discomfort. Pregnancy granulomas usually develop in the second trimester. They are red nodules, typically found near the upper gum line, but can also be found elsewhere in the mouth. These growths bleed easily and can form an ulcer or crust over. Pregnancy granulomas usually are attached to the gum or mucous membrane by a narrow stalk of tissue. The exact cause of pregnancy granulomas is unknown, although poor oral hygiene is a primary factor. Trauma, hormones, viruses and malformed blood vessels have also been suspected as co-factors. Women with these growths usually have widespread pregnancy gingivitis. Pregnancy granulomas will disappear after your baby is born. If a growth interferes with speaking or eating, you may need to have it removed before you give birth. However, about half the time, the growth will come back after it has been removed during your pregnancy. In women with severe morning sickness, frequent vomiting can erode the enamel on the back of the front teeth. If you are vomiting frequently, contact your dental office for information on how to prevent enamel erosion. It is important not to brush right away after you vomit, since the acid in your mouth will only help erode the teeth as you brush. Before brushing, rinse with a mixture of baking soda and water, or a commercial rinse designed to reduce the acid level (pH) of your mouth. Many pregnant women complain of dry mouth. You can combat dry mouth by drinking plenty of water and by using sugarless hard candies or gum to stimulate saliva secretion and keep your mouth moist. These should contain xylitol, which reduces the harmful bacteria that cause cavities. Less commonly, pregnant women feel they have too much saliva in their mouths. This condition occurs very early in a pregnancy. It disappears by the end of the first trimester. It may occur along with nausea. I've heard that pregnant women lose a tooth for every child. Is that true? No. This is a myth. People used to think that a developing fetus who did not get enough calcium would absorb it from the mother's teeth. This is not the case. If you practice good brushing and flossing habits, you are no more likely to get cavities or lose teeth during your pregnancy than at any other time. How should I take care of my teeth and mouth while I'm pregnant? Eat a well-balanced, nutritious diet with plenty of protein, calcium and vitamins A, C and D. Brush your teeth twice a day for two minutes each time. Use fluoride toothpaste. Floss at least once a day. Using an antibacterial mouthwash can help destroy bacteria that contribute to gingivitis. Mouth rinses that lower the acid level (pH) of your mouth are also suggested. Is it safe to visit the dentist while I'm pregnant? The best approach to dental care is to see your dentist before you get pregnant for an exam and cleaning. Periodontal disease treatment also can be done at this time. During your pregnancy, the second trimester is the best time to receive routine dental care. If possible, avoid major procedures, reconstruction and surgery until after the baby is born. During the first trimester, the fetus's organ systems are developing, and the fetus is highly sensitive to influences from the environment. In the last half of the third trimester, there is some risk of premature delivery because the uterus is sensitive to external influences. Also, at the end of your pregnancy, it can be uncomfortable to sit in a dentist's chair. After about 20 weeks of pregnancy, women should not lie on their backs for long periods of time. This can put pressure on large blood vessels and cause changes in circulation. What should I do about emergency dental treatment while pregnant? You should receive treatment if it is necessary to ease your pain, prevent infection or decrease stress on you and your fetus. Your dentist should consult with your obstetrician or midwife if he or she has questions about the safety of medicines or anesthesia. This is seldom necessary for routine pregnancies. Is it safe to get dental X-rays while I'm pregnant? Advances in technology have made dental X-rays much safer. Digital X-rays use much less radiation than older systems that use dental film. Studies have shown that using a lead apron will protect you and your fetus from radiation. X-rays usually are taken in the first trimester only if they are needed for diagnosis or treatment that cannot wait until after the baby is born. After the first trimester, there is even less chance of any negative results from an X-ray. Can I take dental medications while pregnant? Ideally, you should not take any medicines during pregnancy, especially during your first trimester. However, sometimes this is simply not possible because the benefits of a medicine outweigh the risks related to its use. Most common dental medicines can be used during pregnancy. However, some — such as sedatives and certain antibiotics — should be avoided. The U.S. Food and Drug Administration classifies many prescription drugs at different levels of risk to the fetus. There are five categories: A, B, C, D and X. Pregnancy Category A drugs are the safest. Acetaminophen (Tylenol) and penicillin are in this category. Pregnancy Category X drugs are known to be harmful to the fetus. Always talk to your dentist about any medicines he or she prescribes during your pregnancy. If your dentist needs to prescribe a medicine such as an antibiotic or a medicine for a tooth pain, he or she usually will confer with your obstetrician. Can I take dental medications while nursing? The American Academy of Pediatrics says that most prescription drugs should have no effect on milk supply or infant well-being. It is highly unlikely that any dental medicines will affect your baby. Several factors, including medical status and age, affect how quickly drugs are cleared from a baby's body. To minimize risk, take any medicines just after your baby has nursed. Then, try to avoid nursing for at least four hours or as long as you can. This will minimize the amount of drug that enters your breast milk. Most drugs reach their maximum concentration in milk one or two hours after you take them. Your dentist may want to discuss medicine options with your physician and/or your child's pediatrician. DO YOU FLOSS: DOES IT REALLY BENEFIT YOU? 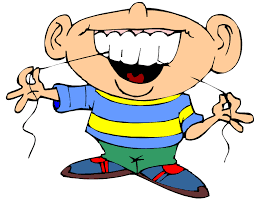 If you're not flossing, you probably have food stuck between your teeth — or do you? Flossing: still being questioned? The answer is yes, but your dentist knows when you lie about, because the proof is still in the pudding. Last year, the federal government removed flossing from its dietary guidelines following Associated Press Freedom of Information Act requests. The AP received a letter from the government saying the effectiveness of flossing had never been researched. In fact, AP reported "evidence for flossing is 'weak, very unreliable,' of 'very low' quality, and carries 'a moderate to large potential for bias.'" Many Americans aren't a fan of floss anyway. Nearly a third of adults say they never floss, and only about 31.5% say they flossed every day in the last week, according to a CDC survey. The American Academy of Periodontology released a survey in 2015 showing that 27% of adults say they lie to their dentist about how often they floss. Matthew Messina, dentist and American Dental Association spokesman, still says those who don't floss are at greater risk for gum disease and cavities. To him, it's common sense. He says brushing doesn't cut it — he often challenges patients to brush everything out at his office, only to show them what he can still find with floss. "Brushing is very important but you can’t get the bristles in between the teeth," Messina said. "Floss pulls bacteria and plaque and food that smells bad." Not flossing could also have an adverse cosmetic affect, he said. Messina said if food isn't flossed out from between teeth, teeth can shift. The ADA recommends brushing twice a day and flossing once a day.